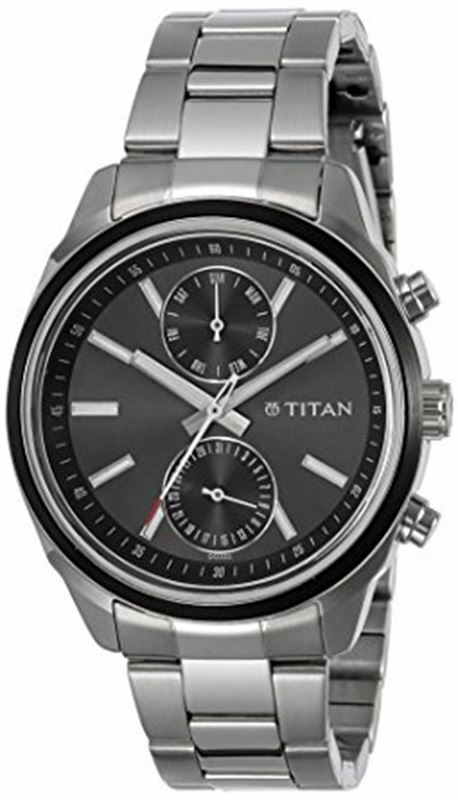 This multifunction watch for men features a black round dial. The dial has plain three hands with separate stick indicators on the dials to show the day and date. The strap and case are both silver-coloured and made of stainless steel. Three silver crowns let you adjust the time, date and day. The timepiece is user-friendly as it comes with a 5 ATM water resistant feature.